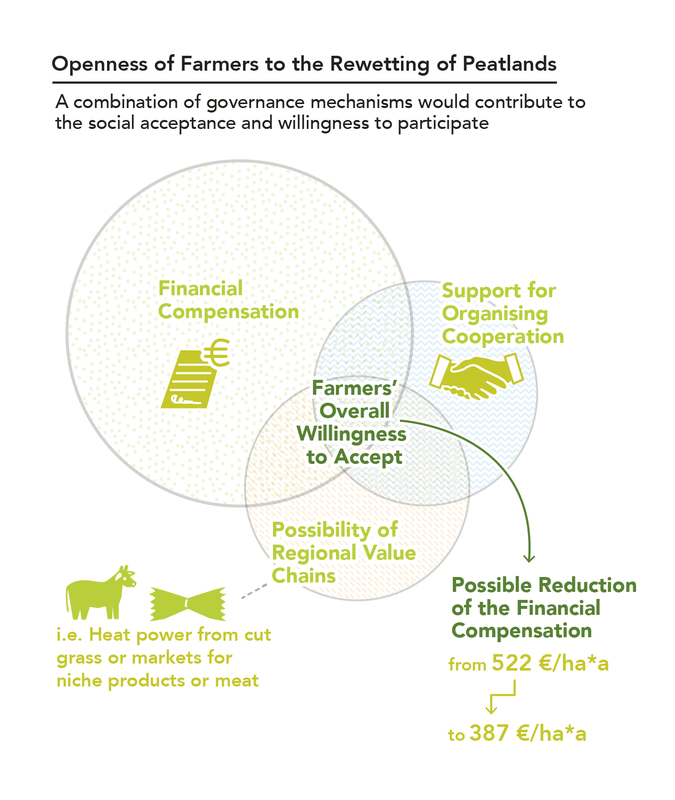 For Germany two case study regions both located in the Federal State Brandenburg, with a concentration on petlands have been included in the studies. 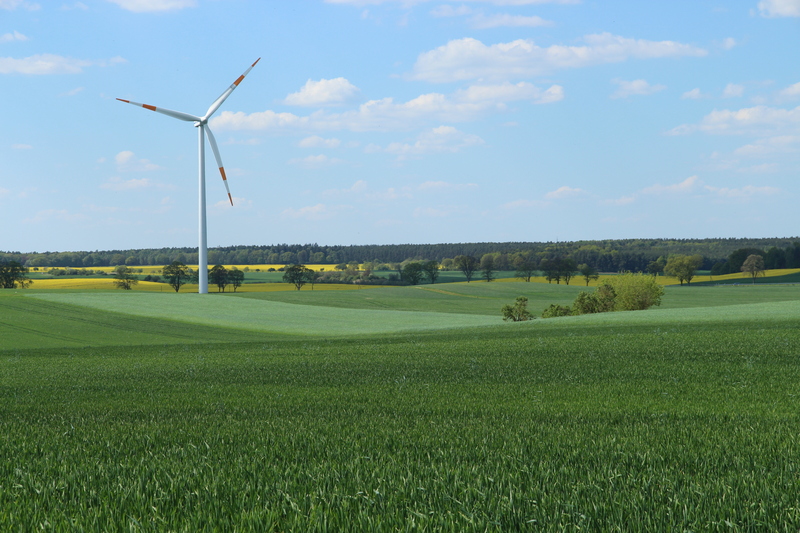 The region Märkische Schweiz, located in the East of Berlin as a hotspot region for public good supply (mainly carbon sequestration), and a second peatland area called Rhinluch, located in the Northwest of Berlin. The Märkische Schweiz Nature Park is extends from the Eastern fringe of Berlin (25 km distance from the city) towards the Oder valley at the German-Polish border, covering a total of 576.4 Km² and encompasses ten municipalities. The main settlements are Strausberg (ca. 26,000 inh.) and Müncheberg (ca. 7,000 inh.). The region is located in the humid continental climate zone, characterised by severe winter, no dry season and warm summers. The average annual temperature is 8.8°C with -1.2°C in January and 18°C in July. The average annual precipitation does not exceed 500-560 mm/year (27 mm in February to 70 mm in July) (MLUR 2000). The morphology is the result of cyclic glacial advances and peri-glacial geomorphologic processes, resulting in heterogeneous natural conditions (geomorphology, pedology and topography). Therefore the regional can be subdivided into landscape zones, including glacial valleys, ground- and end-moraines plateaus and slope sides. The elevation ranges between 5.8 m and 144 m. The soil typologies are quite heterogeneous, but are all characterised by a general low fertility. The agricultural structure with an average farm size of 235 ha per holding is result of agricultural historical development of the last 300 years. It includes the early agricultural land reclamation through the establishment of extensive drainage system with canals construction, increasing farm and field sizes of the socialist collectivization of the mid-20th century with extensive removal and re-modelling of landscape elements, such as fences, hedges, and even drainage ditches as well as the comprehensive technical modernization and transformation into more extensified management systems after accession to the European Common Agricultural Policy (CAP) in 1990. According to the local stakeholder assessment, the glacial valley “Rotes Luch”, a 15 km long continuous peatland area, is of specific interest for the PG carbon sequestration. 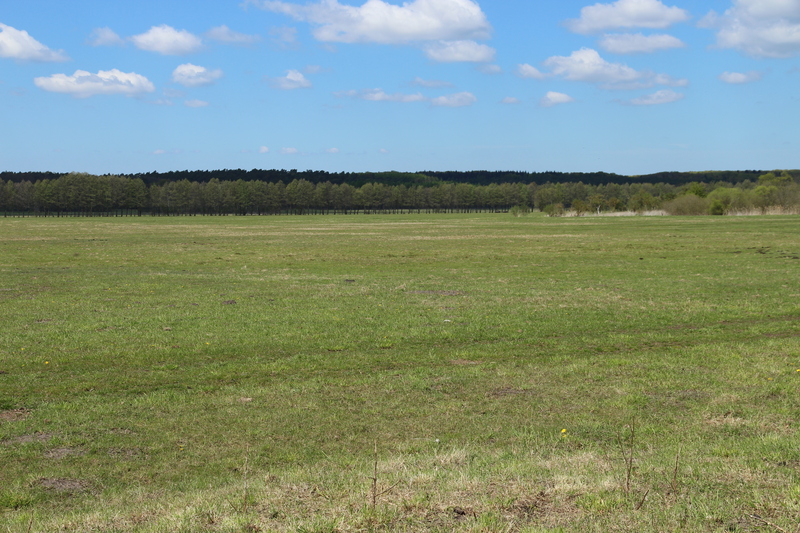 The Upper Rhinluch landscape is located about 50 km Northwest of Berlin and consists mainly of a peatland area around the small flood stream Rhin. Administratively, the landscape is part of the municipalities of Kremmen and Fehrbellin, which together cover an area of 477 km² with 15,892 inhabitants (2014; 33.3 inh./km²). The core peatland area itself, however, is very thinly populated concentrated in the two minor settlements. 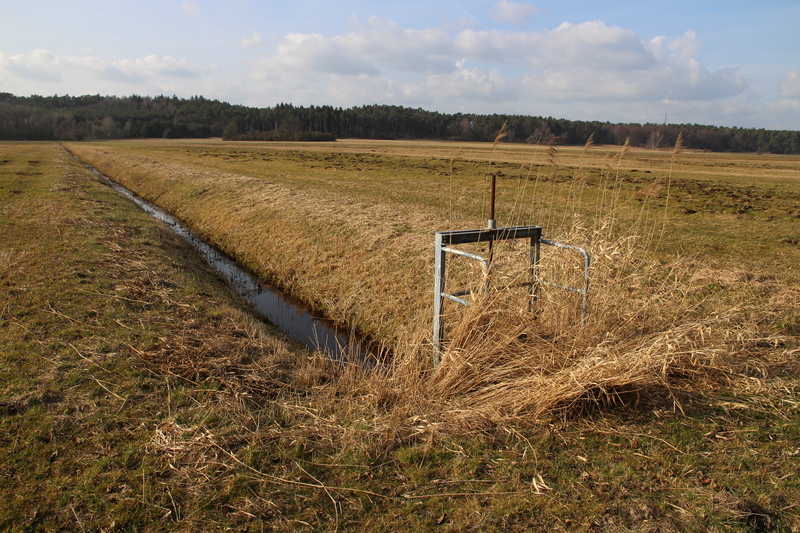 The farming system of the Rhinluch peatland had been historically (especially in the 1960-1990) under strong intervention into the water management (melioration) in favour for optimised agricultural production. 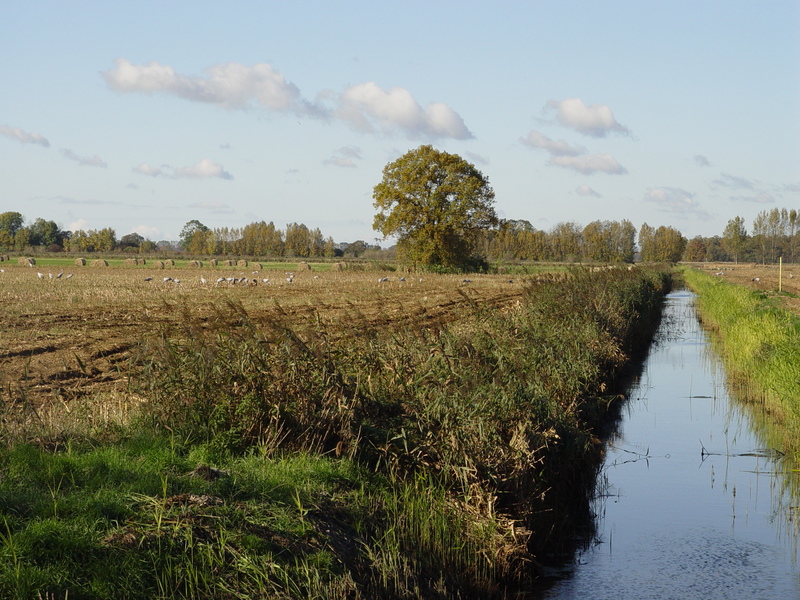 A very complex system of streams, dikes, dams, polders, weirs, canals, flood gates, pre-flooder (36 m water streams per ha) had been established and monitored to lower the water table and to allow farming practices. As a result, the water level in the main streams is about 60-80 cm above ground level (partly 150-200 cm). In the Upper Rhinluch landscape less than 50 farms are active (124 farms in total in both municipalities with an average farm size of 265 ha). The general soil fertility conditions are very heterogenic, but rather low, due to sandy soils, but also moraine soils. Through the intensive agricultural land use, soils are additionally degraded (and will further degrade). 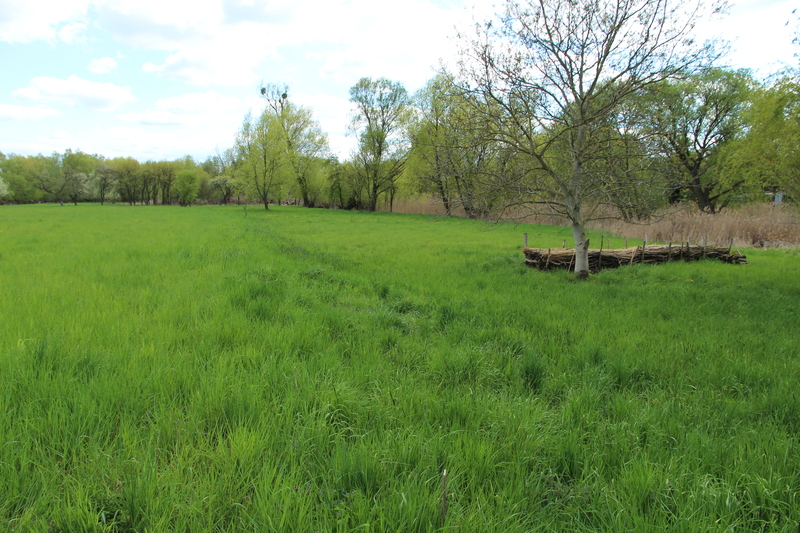 The grassland is of rather low quality and biodiversity compared to the German average. Precipitation takes place rather in winter time, causing droughts in spring and summer, flooding in winter. Farms already perceive droughts as very severe and see need for irrigation. Water levels are very heterogenic and difficult to control. The core zones close to the central water streams are permanently and temporally re-wetted and only extensively used for grazing by cattle and sheep. Other areas are more intensively used for grazing and fodder production (3-5 cuttings per year). More peripheral areas with better soil conditions are used for arable production, including intensive vegetable and asparagus cultivation. Further intensification of these floodplains is not aimed, mainly due to the limited market potential for livestock products. Rhinluch area is the largest migratory crane resting place in Europe and therefore of ecological importance beyond the region itself. Therefore extensive nature protection areas (ca. 3,500 ha) have been established. At the same time the region is well-known for cranes resting there, which attracts visitors and generates public interest. Nature protection requires high water tables. Complete flooding creating shallow water areas supports especially amphibians, cranes, storks, etc. Keeping water in the landscape prevents moors and peatland to dry out. Higher water tables can also improve irrigation situation for agriculture in dry summers. 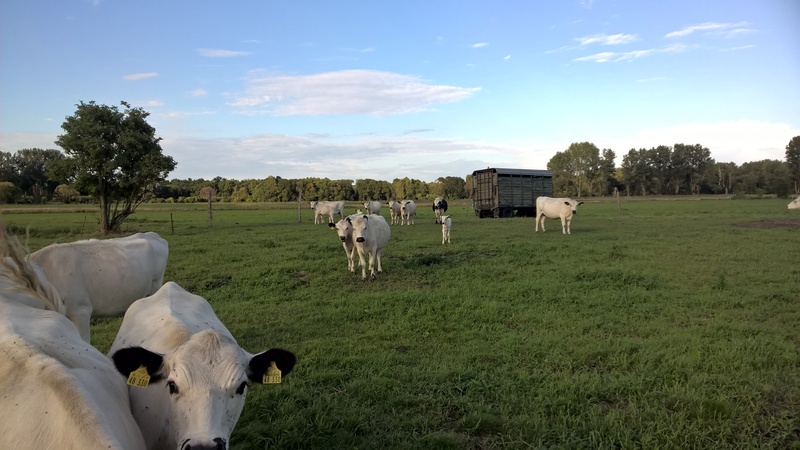 However, farms oppose complete flooding as well as temporary flooding schemes and restricted cutting of grassland because they fear losses in production. We investigate possibilities for better PG provision in peatland areas through improved water table management and related land use management. The public goods that are especially affected by the water table management are climate stability, water quantity and biodiversity. 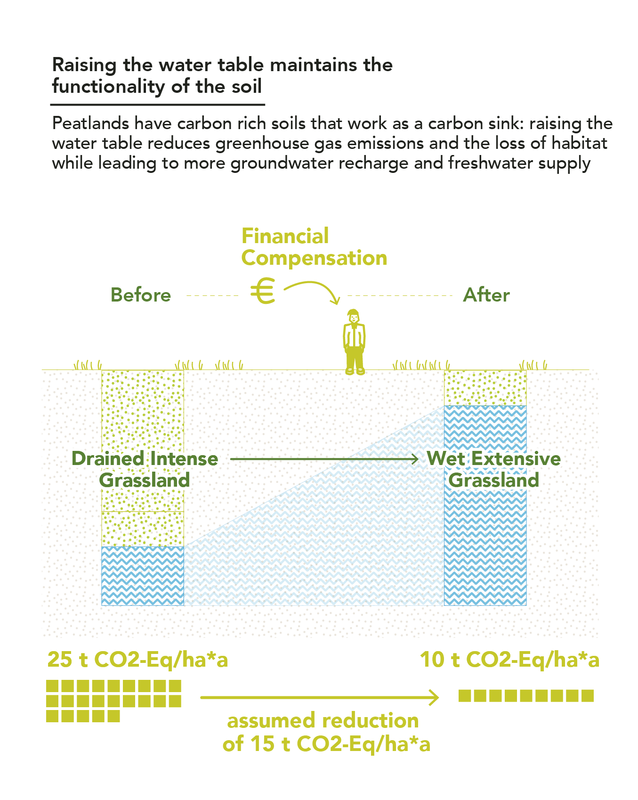 Peatlands are carbon rich soils that work as a carbon sink. When they are used for agricultural production they are often deeply drained from early spring until autumn. Oxygen gets into the soil and mineralisation processes take place, causing greenhouse gas (GHG) emissions, mainly as carbon dioxide (CO2). Therefore drained and agriculturally used peatland areas make up 5 % of overall German GHG emissions, contributing to climate change. Peatlands have the ability to function like a swamp, storing water in seasons with high precipitation and release it during drier seasons. This provides water for groundwater recharge and freshwater supply. Drainage of peatlands changes the functionality of the soils and often leads to water scarcity during growing season in our case study area. Additionally, drainage causes a loss of typical peatland habitats for species. Hence, raising the water table about 10 cm below ground and extensifying the system will keep the functionality of peatlands and lead to better PG provision. Here you find outcomes and of the participatory workshops and other material in national language.